Histar s a world renowned, new generation, broad spectrum insecticide of Pyrethroid ester roup. 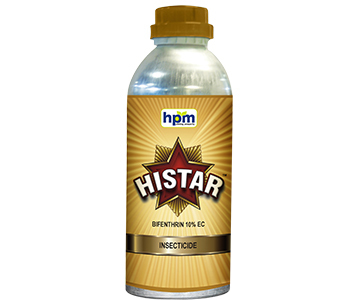 Histar has a strong Biphenyl bond which provides longer residual eriod of control or target insects. Histar does not have 'Cyano-group' at alpha position hence does not cause skin irritation to end users. Histar through its contact and stomach action, controls different types of larvae, white fly, mites and jassids very effectively. Histar as strong bonding tendency in soil thus it persists and exhibit longer duration extraordinary control of termite. Histar provide effective control of termites through its three modes of action e.g. contact, stomach and repellent action. Histar as phyto-tonic effect which improves the vigour and keeps the crop healthy, thereby quality produce. It acts on the nervous system of insects,disturbs the function of neurons by interaction with sodium channel. It is a world renowned, new generation, broad spectrum insecticide of Pyrethroid ester group. 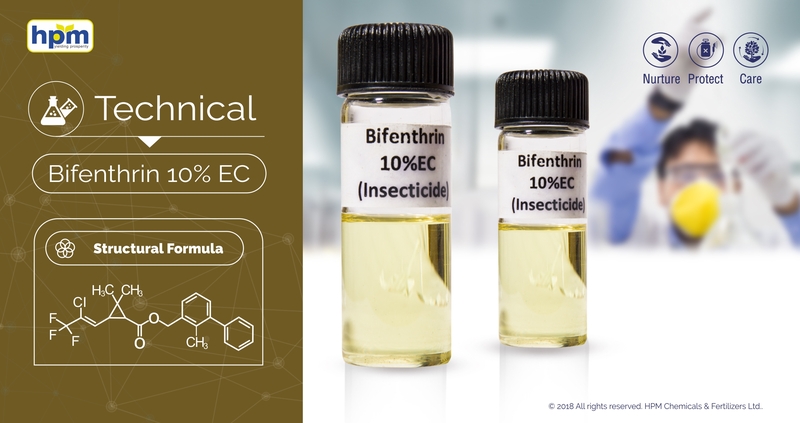 It has a strong Biphenyl bond which provides longer residual period of control or target insects. It does not have 'Cyano-group' at alpha position hence does not cause skin irritation to end users. It through its contact and stomach action, controls different types of larvae, white fly, mites and Jassids very effectively.as strong bonding tendency in soil thus it persists and exhibit longer duration extraordinary control of termite. It provides effective control of termites through its three modes of action e.g. contact, stomach and repellent action.as phyto-tonic effect which improves the vigour and keeps the crop healthy, thereby quality produce. Effects on aquatic organisms: it shows low solubility in water and high affinities for soil contribute to produce little impact in aquatic systems under field conditions.It is highly toxic to fish and aquatic arthropods. It has no effect on molluscs at its limit of water solubility. It is only slightly toxic to both waterfowl and upland game birds. Highly toxic for bees.